Mt. St. Helen's erupts, May 18, 1980, USGS Photograph taken by Austin Post. 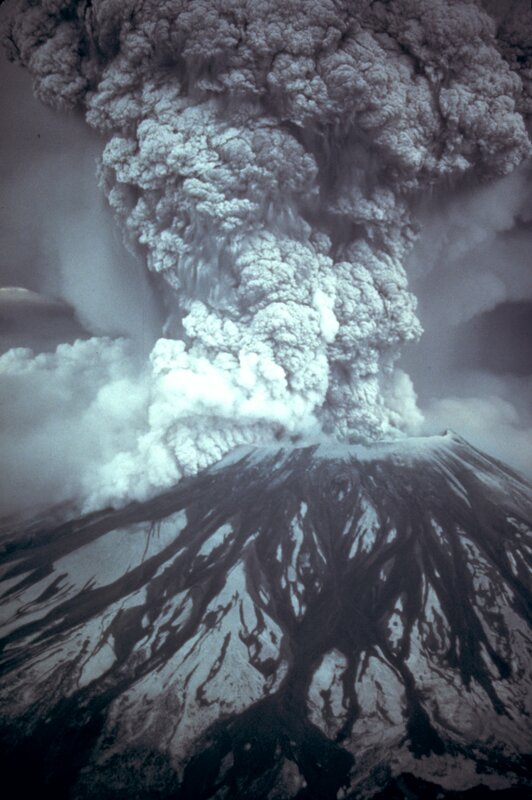 Our biggest event of 1980 was the eruption of nearby Mt. St. Helen’s on May 18—not exactly in our back yard, but close enough. At around 8:30 that morning a plume of molten rock blew 80,000 feet in the air, sprinkling 11 states with ash, melting several glaciers within the volcano, and triggering widespread landslides. Rivers and towns were clogged with debris, and 57 people lost their lives. The cataclysm blasted the Spirit Lake YMCA Camp that Noel attended as a boy, along with the codgerly and stubborn Harry Truman, owner of a nearby lodge Noel remembers, into the cosmos. For our laid-back (and largely unemployed) friend Rocky–who just happened to be giving flying lessons, and own the gas tank, at the tiny Toledo, WA airport that would become the base of rescue operations, and the world press—it meant a living. When the mountain blew he was eating cereal in a lawn chair, camera in hand, watching for the eruption. Not only did he get a series of photos that would sell thousands of posters, but he had the notion to scrawl a sign on sheet of plywood, and post it at the entrance to the airport—Rocky’s Volcano Flights. Our part of the state was spared devastation. In Seaview our eyes were glued to the TV coverage, while our hands were rolling out # 23, a house suddenly named the Mt. St. Helens. We were relieved to have only a little ash in the yard (I ran out with a vial to dust it off the plants with a paint brush), and, eventually, endless balls of pumice rolling into our beach. For this project Noel decided to vary our architectural menu by designing a house with a square tower. 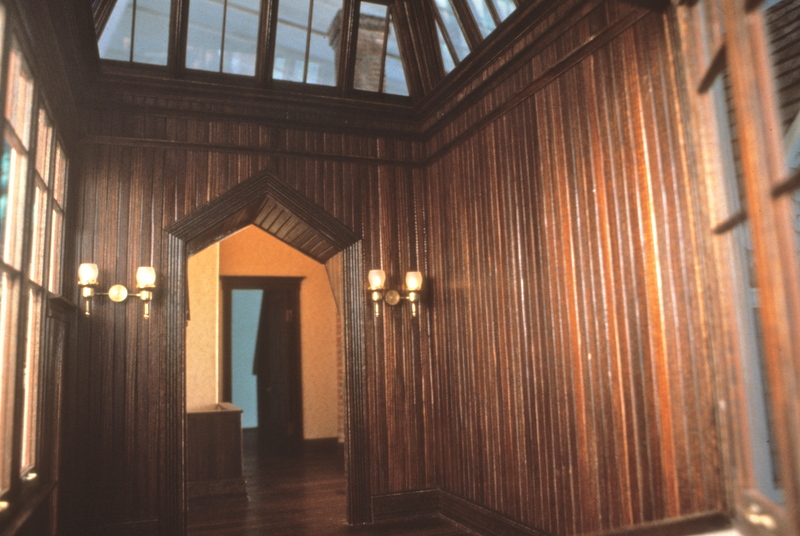 The tower enclosed a large, wainscoted room with tall windows that could be used for star-gazing. 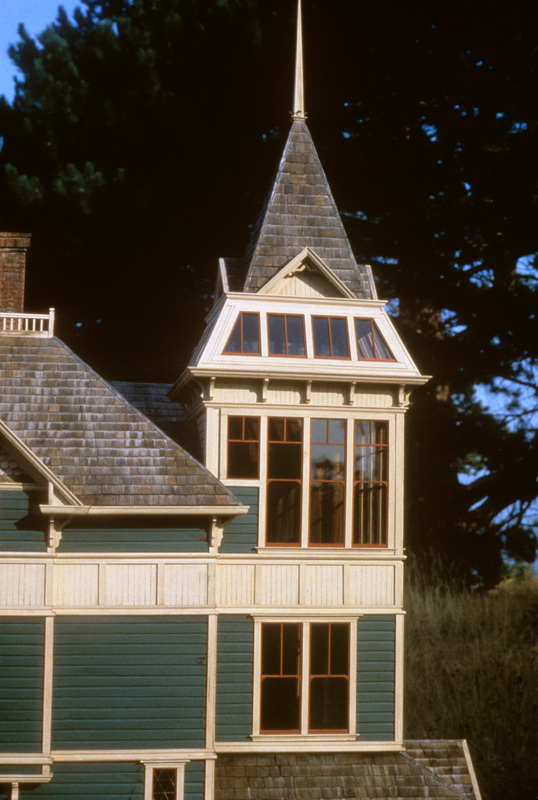 And for more romance, a hatch in the ceiling lead to a small widow’s walk on the roof. The flip side of the hatch held a bench from which to view the skies. 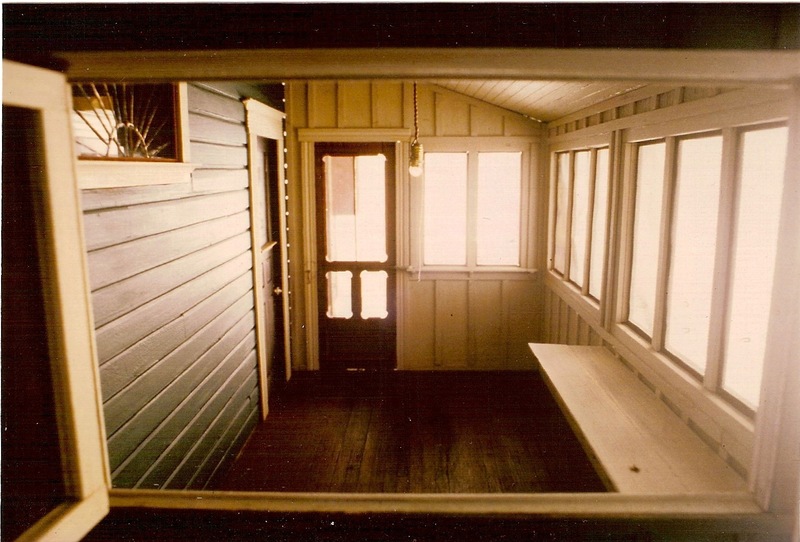 Plus, the house had the kind of back porch I imagined as the mythical Granny-inhabitant’s perfect, solitary retreat to cool off after a hot summer’s day of cooking and canning. 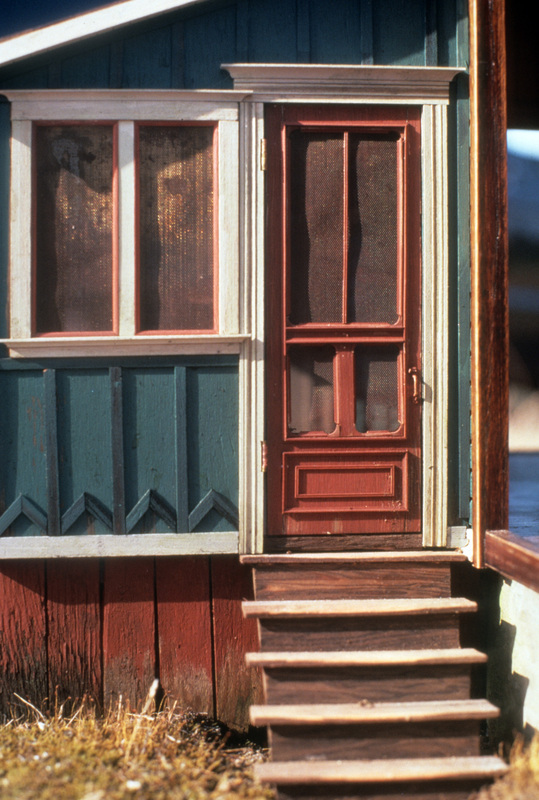 As with many houses of the period, and locale, the back porch was an add-on, sided in board-and-batten rather than the more expensive horizontal drop-siding on the main structure. 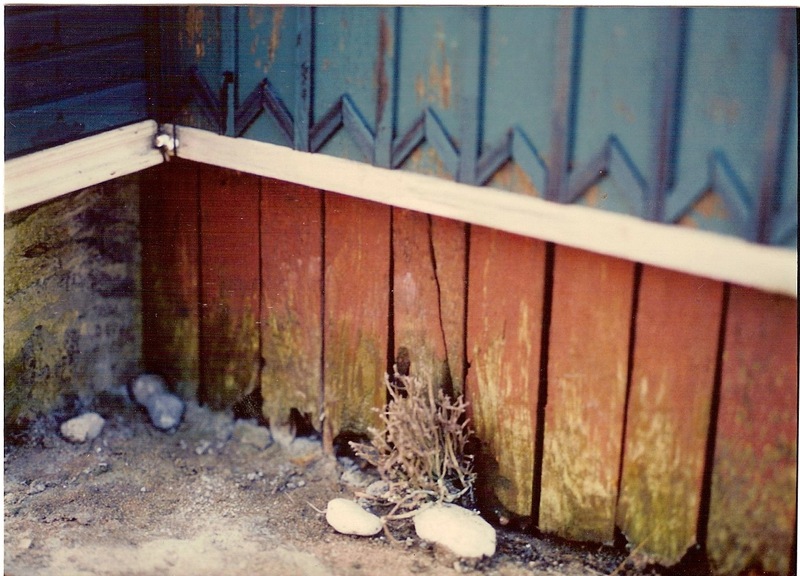 Back porches were always an excuse for a screen door, and a chance to try another kind of spring, so it would close with a convincing little slap, of the kind that made your mother yell, “How many times have I told you kids not to slam the screen door? !” Over the years we tried springs from old cigarette lighters, ballpoint pens, and then a little envelope of 3/64th” springs that turned up, either from a friend or from one of our foraging missions at the surplus warehouse in Seattle. They did pretty well, though I don’t know how they held up over time. The finishing touch was to be the ash, sprinkled on the rooftops and ledges, but my vial-full from the yard wasn’t going to be enough. For that we called on Rocky–now owner of 5 airplanes, and official transporter of the Air National Guard and world vulcanologists–who flew in with jars of ash, and tiny pumice for the garden. 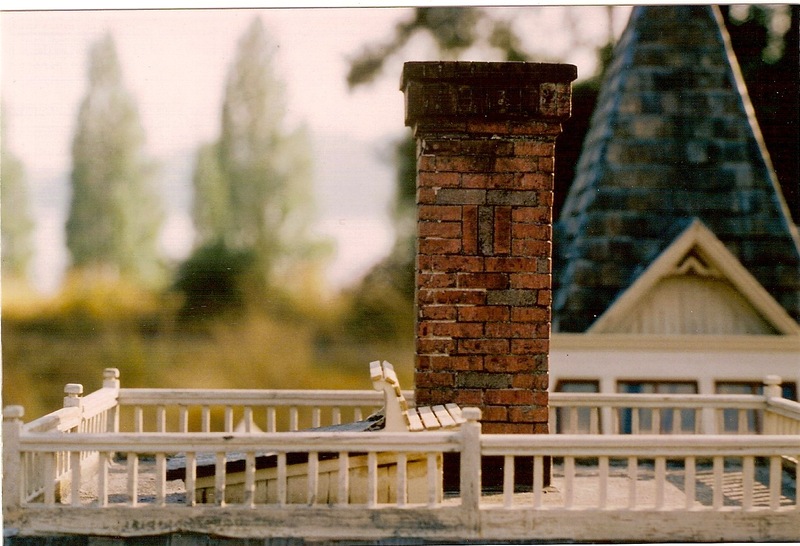 This entry was posted in Bio, Houses, Miniatures, People and tagged 1980, back porches, friends, lifestyle, miniatures, Mt. St. Helen's. 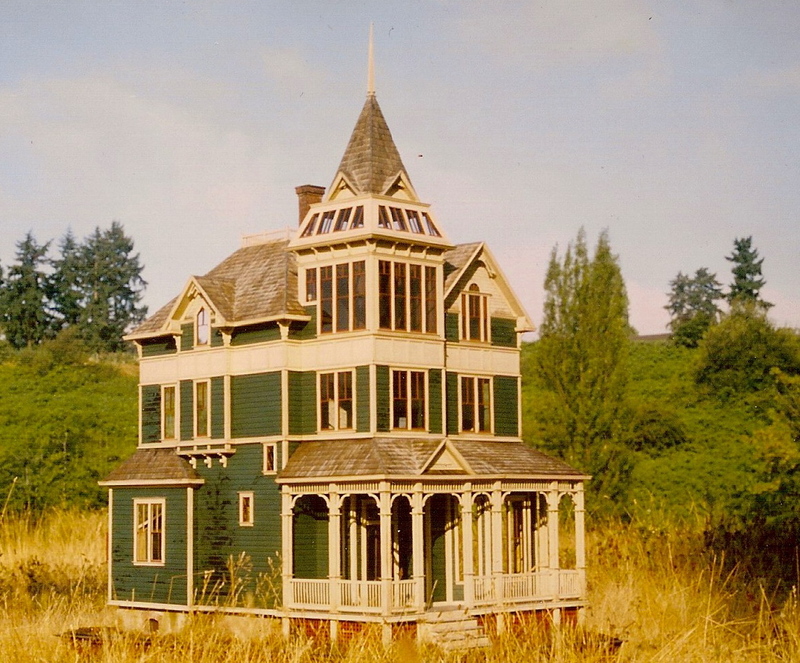 Toledo WA, Victorian architecture. Bookmark the permalink. And as usual fascinating reading. Ah yes…and those of us gifted with ash from family in the area learned not to seal it in a tiny jar as there would be a buildup of gasses and a small explosion to clean up! Wonderful story, photo and another fabulous house! Laurie, Now that’s one I hadn’t heard of! I have a HUGE Ponderosa pine cone that I picked up in Montana when the ash blew over there..Still has ash on it after all these years..thanks for the write up Pat..Love the house!!! Love this especially the screen door. We were on a few acres in Rainier and had to hose ash off comfrey for a quick meal for our five cows. Our world was suddenly like black and white tv. Thanks for the memory. Fascinating reading and another wonderful house! Great blog posting! It was the bright spot in my day, thanks for sharing the memories and the photos. Pat and Noel, Thanks for the memories. We live in Montana. Have some ash from Longview. Remember Chico’s Pizza in Seaview? My FIL ‘s cousin is Sandra Bredfield. I wish I had known you lived there when we visited in the past. I love all of your work, but my favorite is the travel trailer! We own an RV Park near Glacier Nat’l. Park and we see some vintage trailers occasionally. Marcie, Yes we knew Chico’s and the Bredfield clan well. For years our class kit builder was Bob Bredfield. Small world in so many ways. Noel loves the trailer best, too! Where can I see pictures of this beloved travel trailer! I’m working on one now and would love to see yours. I tried a search for “travel trailer”, but nothing will come up. It’s on our website http://www.thomasopenhouse.com under Gallery, the final section. You should be able to reach it by going to this link: http://www.thomasopenhouse.com/gallery_2000.html Click on the dtes below the photo.